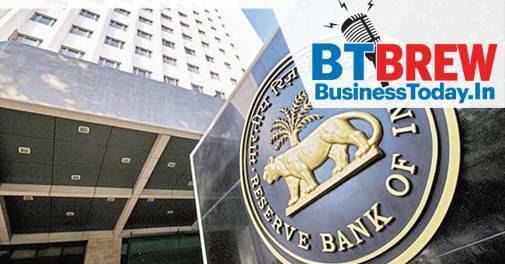 The monetary policy committee of the Reserve Bank of India (RBI) on Wednesday decided to hike the repo rate by 25 basis points to 6.25 per cent while maintaining a neutral stance. All the members of RBI's MPC voted in favour of a rate hike. The verdict of six-member MPC, headed by RBI Governor Urjit Patel, came after three days of deliberations instead of the usual two days. This is the first time MPC has taken this long to reach a decision since its formation in June 2016. The increase in repo rate comes as a bad news for those who have borrowed from banks because it is likely to lead to an increase in the interest they pay on loans, be it home loan, car loan or personal loan. However, the neutral stance taken by the RBI will be a silver lining for the markets. The Seeing AI mobile application by Microsofft has included Indian rupee in the list of currencies that it can identify and narrate the denomination back. After the latest update, version 2.2, the application will be able to identify the currency notes in circulation as well as the new currency notes that were released over the course of past one and a half years. The Seeing AI app has been developed with visually-impaired users in mind. It identifies short text, documents, products, people, scenes, currencies, colour, handwriting, light and even images in other apps using the device's camera. India's national carrier Air India is going through a deep financial crisis, and recent incidents have only added to its woes. First, no bidder showed interest in buying the beleaguered airline. And now, the salaries of over 11,000 permanent employees working for the Maharaja are stuck for the month of May. Reports suggest the cash-strapped airline has failed to release salaries of its employees for the third month in a row. The management has not officially communicated the reason behind the inordinate delay to its staff. The Prime Minister Narendra Modi-led Cabinet on Wednesday approved a relief package of Rs 8,000 crore for the sugar industry, which would help cash-starved sugar mills to clear dues to cane farmers at the earliest. Of the total relief package, Rs 4,500 crore would be used for boosting ethanol production in the country. The package also includes government's last month's announcement of Rs 1,540-crore production-linked subsidy for sugarcane farmers to help millers pay cane payments.